MOT 03/2020. CD MULTI CHANGER. 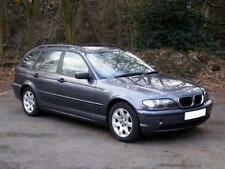 It's in average condition for its age and benefits from a recent service. NO RESERVE NO RESERVE! 3.0i SPORT. SERVICE HISTORY. SPORTS EXHAUST. PRIVACY BLINDS REMOVABLE. Will need two rear tyres very soon other than that and the bodywork that’s all I can say. Great car apart from bodywork is tired. 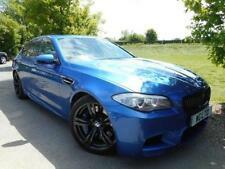 Fantastic performance from this 3.0i X3 sport in Saphire black with a very good spec. No expense spared since I've had the car (see bills), MOT until August and 4 new tyres 3000 miles ago. Fair condition just a few age related minor scuffs and scratches. Last MOT advisory for oil leak has been dealt with at cost of £330. 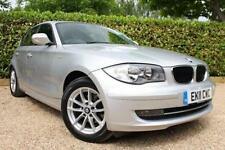 BMW X3 2004 Silver Auto 3.0 Petrol M Sport. 3 Month RAC Warranty !! Full Autovogue Sports Styling. 2004 BMW X3 SE 3 Litre Petrol. Grab Yourself A Bargain. Does Have Panroof But It Doesn’t Work. Individual Colour. Bransons Cars - Call us on 441702837017 or click here to find out more. Sport Body Styling, Sports Package, Sport Suspension, 18" Alloy Wheels, Full Black Leather, Sport Seats, Lumber Support Seats, Parking Sensors (PDC), Cruise Control, Silver Trim, Sport Multifunction Steering Wheel, Automatic Wipers, Automatic Headlights, Front & Rear Electric Windows Armrest, Side Step, Tyre Pressure Monitor, Electric Door Mirrors, Rear View Dimming Mirror, Climate Control, Auto Air Conditioning, Traction Control (DTC), Service History. HPI Clear. Warninig Lights on :- 4x4 light and traction light and car smokes. The vehicles advertised have been taken in part exchange. 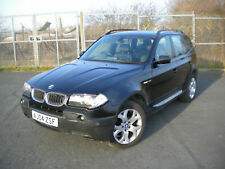 BMW X3 2.5i AUTOMATIC SPORT, LPG GAS CONVERTED + VERY LOW MILEAGE + GOOD SPEC !! ONLY 2 PRE OWNERS + HPI CLEAR + AUX / USB / BLUETOOTH ! FULL LEATHER. NICE SPEC. DRIVES SUPERB. NEW MOT. Essex Trade Cars Ltd - Call us on 441268988094 or click here to find out more. BMW X3 SPORT ,FACTORY BLACK. STUNNING PERFORMANCE. GREAT DRIVE, REAL EYE CATCHER. ALL WHEATHER VEHICLE. BMW POWER. FOR SALE BMW X3 2.5 PETROL M SPORT BRAND NEW TYRES BRAND NEW REAR DISCS AND PADS SERVICE HISTORY XENON LIGHTS ALLOY WHEELS FULL LEATHER INTERIOR PARKING SENSORS 6 SPEED GEARBOX MOT DECEMBER 2019 VERY CLEAN CAR ANY MORE INFORMATION CALL 079 3270 3636 THANK YOU. 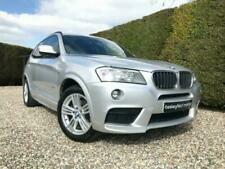 BMW X3 2.5i M SPORT MANUAL. A few age related marks but in fantastic condition for its age, inside and out. If you are looking for one, you will be hard pressed to find better. Car Sales - Please call us before coming on ‭07956 163844‬ - Call us on 442038895522 or click here to find out more.